Get your Fab on… your iPad! Fab… love it or hate it… there is a fabulous product on the site for everyone. If you believe the folks behind the site, you only find well ‘designed’ products. If you believe us, once you start tapping around the site, it’s hard to stop! Today, Fab let us know that we are still able to look (and buy!) 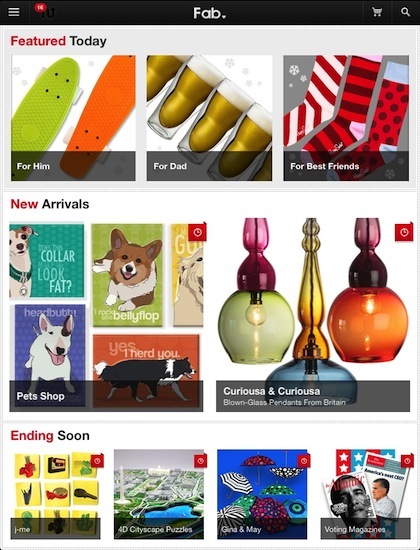 items on Fab via their free Universal app. When waiting outside a meeting room, no longer is the time limited to reviewing presentation notes. Just now, we were talking about how many people with their eyes glued to their iPads are hitting Fab for personal and gift purchases. Booting up the app (creating a log-in allows for more personalized product lists), your taken to an overview screen much like you see when you browse to Fab with your desktop browser. 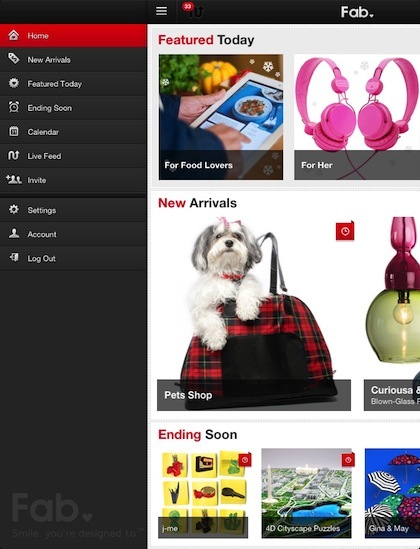 Choose the upper left list button or swipe across the screen to see the navigation options. New Arrivals, Featured and Ending soon options make sure you know about Fab hot items before their timed offering expire. 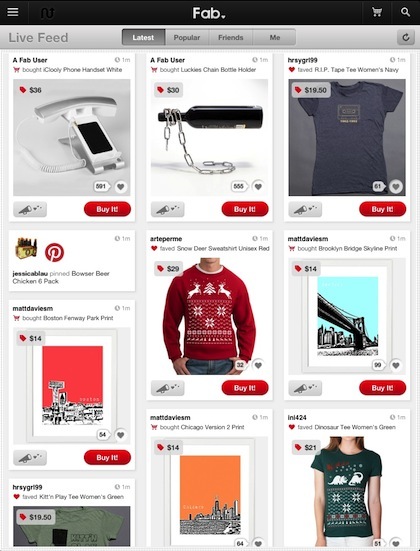 The Fab Live Feed option lets you see all of the items others have bought or marked as hot items you should consider. That lower right hand corner top offering… wear to the family holiday gathering and see if anyone notices it isn’t the normal reindeer. 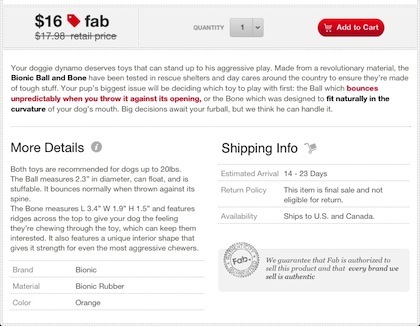 Fab has the tweaks on common and uncommon products. 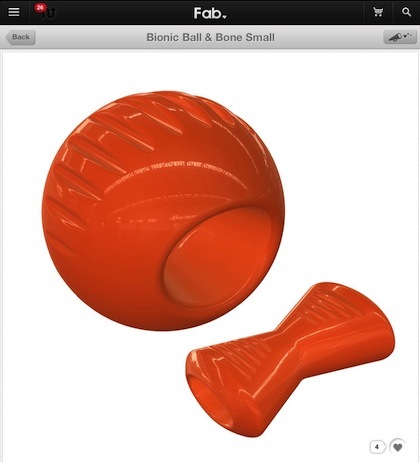 The Fab app offers drilling down to the particulars about any product. All the features found on the site, including ‘Add to Cart’.